Lipodrops is liquid weight loss drops which you dispense via a dropper under your tongue, created by Dr Collier. Liquid weight loss drops are well known for containing zero ingredients and are often on the wackier end of weight loss supplements, but this one looks to be more reliable than most. Each two drop serving contains 400mg of active ingredients in 1 ml of liquid, so this does compare to conventional supplements in pill form. We investigate what impact this supplement will have on your weight loss journey! Some customers have mentioned weight gain! No comments Published Mar 28, 2019. Lipodrops are liquid weight loss drops that you put under your tongue instead of taking a pill or a capsule, more usual with weight loss supplements. The idea is that they will help your body burn fat and improve your metabolism on a cellular level. This sounds good, but what does it mean exactly? We take a look at Lipodrops to find out more. Lipodrops were created by Dr Collier – a doctor who features on a radio show called the Ricky Smiley Morning show which is broadcasted across the USA. Dr Collier calls himself the Hip Hop Doctor and has a Facebook page in the same name. Lipodrops appears to be owned by Dr Collier and there is an official product website. Lipodrops is a liquid diet drop supplement that you take by dropping 2 drops into your mouth under your tongue. According to the advertising, it has a cellular effect upon the metabolism, but there is no real evidence that it will work as described. Lipodrops comes from a doctor called Dr Collier who appears on a radio show talking about health. Despite this medical endorsement, Lipodrops does not seem very effective on its own. You are supposed to use the supplement with a provided diet plan which may improve results but comes with no further details. What are the side effects of Lipodrops? Some customers have mentioned weight gain. Other potential side effects may include itchy skin, facial flushing, stomach pains, nausea, and headaches. Speak to your doctor before using if you are taking prescription medication or have an underlying health condition. This supplement contains Maca which may interfere with oestrogen levels. How much does Lipodrops cost? Lipodrops is expensive. 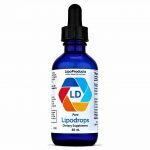 Buy directly from the Lipodrops site and it costs $29.95 for a 60ml bottle containing 60 servings. Shipping is free to US addresses. You can find it on sale for the same price via Amazon. Lipodrops are liquid weight loss drops which you dispense via a dropper under your tongue. Liquid weight loss drops are well known for containing zero ingredients and are often on the wackier end of weight loss supplements, but this one looks to be more credible than most. It does actually contain some ingredients, rather than the sugar water or fake hormones in minuscule quantities we see so often. Each two drop serving contains 400mg of active ingredients in 1 ml of liquid, so this does compare to conventional supplements in pill form. The ingredients are combined in a proprietary formula (not so good) and listed ingredients include African Mango Extract combined with a range of amino acids and vitamins, plus a couple of other herbal ingredients including Rhodiola and Astralagus. According to product information, Lipodrops has recently undergone some changes to the formula by the removal of sweeteners. IF you currently weigh LESS than 200 lbs. : Use 1 ml. (about 2 dropper-fuls) twice (2x) a day. Place liquid under your tongue and hold for 30-60 seconds (about a minute). Easiest way to do this is by keeping Lipodrops by your toothbrush and use morning & night. IF you currently weigh MORE than 200 lbs. : Use 1 ml. (about 2 dropper-fuls) three to four times a day. Place liquid under your tongue and hold for 30-60 seconds (about a minute). You may take your Lipodrops after meals (3x a day), or if you are following the meal planner, after each of the 4 times a day that you have established for your meals & shakes. Lipodrops comes with a free diet plan. Despite extensive searching, we have not managed to see this plan which is worrying. Liquid Diet Drops are well known for being accompanied by a very low calorie diet (VLCD) plan that requires you to stay under 500 calories a day or similar. Starvation diets can be extremely dangerous for health and with most diet drop products, it is the VLCD that leads to any weight loss rather than the liquid drops you take at the same time. Why is the product information so secretive about the diet plan? We checked out Dr Collier online to find out more. He appears on a radio show where he speaks about health matters, and he has his own Facebook page where he posts videos about the drops and how it is important to take them at regular intervals. 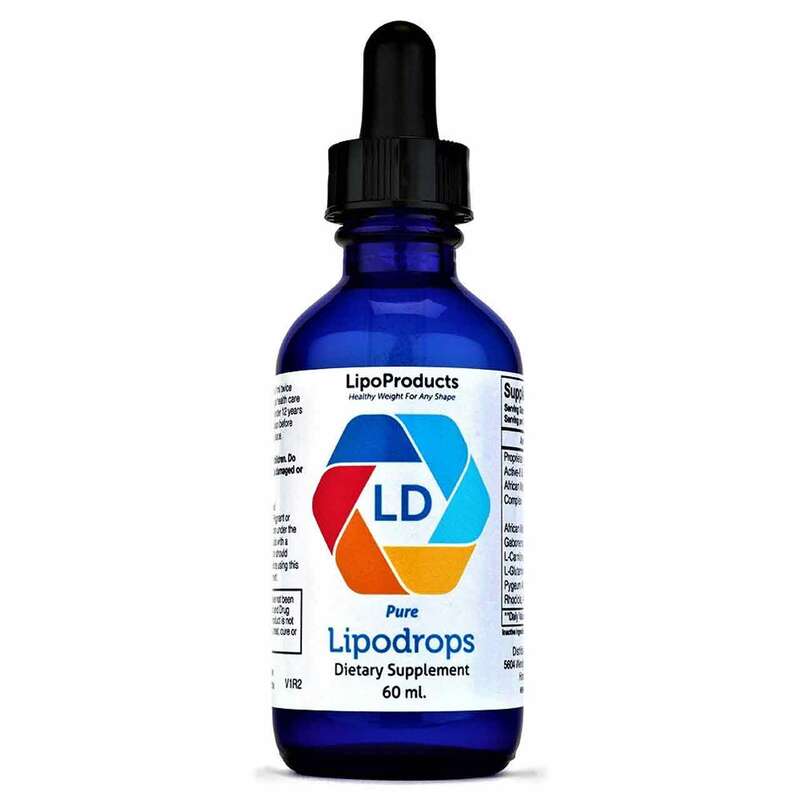 You can buy Lipodrops via the official Lipodrops website or via Amazon. What does Lipodrops claim to do? “Lipodrops Weight Loss Drops are pure Lipo drops – Easy to use Diet Drops; Lipo Diet Drops supplement your body to burn fat a natural way. Using this supplement is the same as going to a weight loss doctor in an expensive clinic! There is zero evidence that Lipodrops will work as described. We have covered many different diet drops before in previous reviews, and the accompanying diet plan is always key to any weight loss. We have serious concerns that the Lipodrops diet plan and meal planner seems to be kept under wraps because customers could discover that they have signed up to an extremely strict VLCD they have no way of actually sticking to. When it comes down to the drops, we think it is unlikely they will have much effect. African Mango extract has undergone some clinical testing, and results were favourable in that some participants reduced waist size and cholesterol after taking 300mg a day over weeks. The problem is that scientists have criticised these trials and the general consensus is that African mango requires further testing. There is only one vitamin B3, so this cannot really be described as a vitamin supplement and although amino acids may be good for general health, there is nothing in this liquid drops supplement that really will help boost your metabolism on a cellular level as claimed. Proprietary Active 8 & African Mango Complex (400mg): All the ingredients are combined so the individual ingredient quantities are unknown. African Mango Extract Irvingia Gabonesis): African Mango is a West African tree. The fruit resembles a mango but is not actually related. Both the fruit and seeds are edible. The seeds are high in fibre, protein, and nutrients and minerals. L Ornithine, L Carnitine, L Arginine, L Glutamine, Beta Alanine: Amino acids are described as the building blocks of protein and these organic compounds are crucial for life. Over 20% of the body is composed of amino acids – many of which are made by the body itself. L Carnitine is made in the kidneys and liver and stored in the muscles, heart, and brain. However, other amino acids known as essential amino acids are obtainable only by diet. Beta Alanine and L Arginine are well known in bodybuilding supplements because they help widen the arteries, improving blood flow. L Ornithine may help improve sleep patterns and strength. L Glutamine is the body’s most abundant amino acid. The body uses it where needed especially when the body needs to repair itself, such as following a workout or after an injury. Niacin: A form of vitamin B3. In supplement form, it can help reduce cholesterol levels as well as other benefits. Facial flushing and a burning sensation on the skin can be a common side effect. A few customers have mentioned weight gain but apart from that major downside of a weight loss supplement, side effects do not seem to be an issue. Many of the ingredients contained in this supplement could cause side effects if taken in high quantities. Caution: Not suitable for individuals under 18. Avoid if you are pregnant or breastfeeding. Speak to your own doctor before use if you have an underlying medical condition or are taking prescription medication. Maca may act like oestrogen in the body so if you have or have had a hormonally related medical condition such as breast cancer you probably should avoid. There are some customer reviews for Lipodrops on Amazon. The general overview is not very positive, with negative comments outnumbering positive reviews. Unfortunately, these drops don’t seem to work at all. I am now on my second bottle and am about 2 lbs heavier. Yes, I finished one entire bottler and then purchased a second one with just a glimmer of hope that the drops may work for me. I did not change my eating habits as suggested by the makers of the drops. Maybe they will work if you diet and exercise, but trust me; simply dropping them underneath your tongue will NOT help you lose weight. This is helping me with my weight lost journey. I already bought another bottle. Still waiting to see results even with exercise. According to the advertising, there is a 30-day guarantee. You can contact the company via the official website or Facebook. You can buy Lipodrops from the official Lipodrops website or via Amazon. We do not rate Lipodrops very highly. In our experience, liquid diet drops are rarely what they are cracked up to be and this supplement is no exception. We are not impressed by the lack of product information and the pseudo-science that talks about “cellular levels” and we don’t like that the ingredients list is incomplete either. Although we like that this supplement comes with a free diet plan, we have our suspicions that this is likely to be a very low-calorie diet as is usual with diet drop supplements. In our opinion, the diet plan should have been explained in the product information; this describes Lipodrops as the same experience you could expect from an expensive weight loss clinic but without any information, this is hard to believe. Dr Collier may well be a real doctor and a health expert on a radio show but in our opinion, Lipodrops leaves a lot to be desired so we do not recommend this supplement. How does Lipodrops compare to Phentaslim?